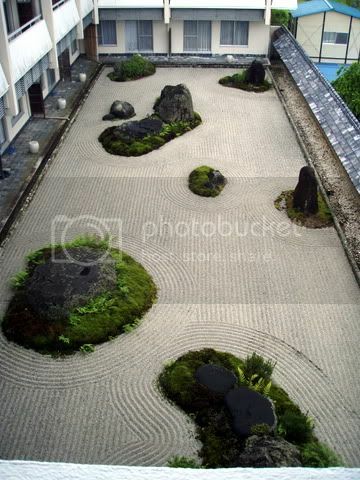 A colleague of mine had the opportunity to go to Japan on an assignment for a year and during this time he managed to take a great deal of photo's, he too being interested in Japanese gardens. On one occasion he booked himself into a cheap motell and boy was he suprised to see what was in the backyard. Something along these lines were what I was thinking in regards to the shapes of "islands" in my garden.